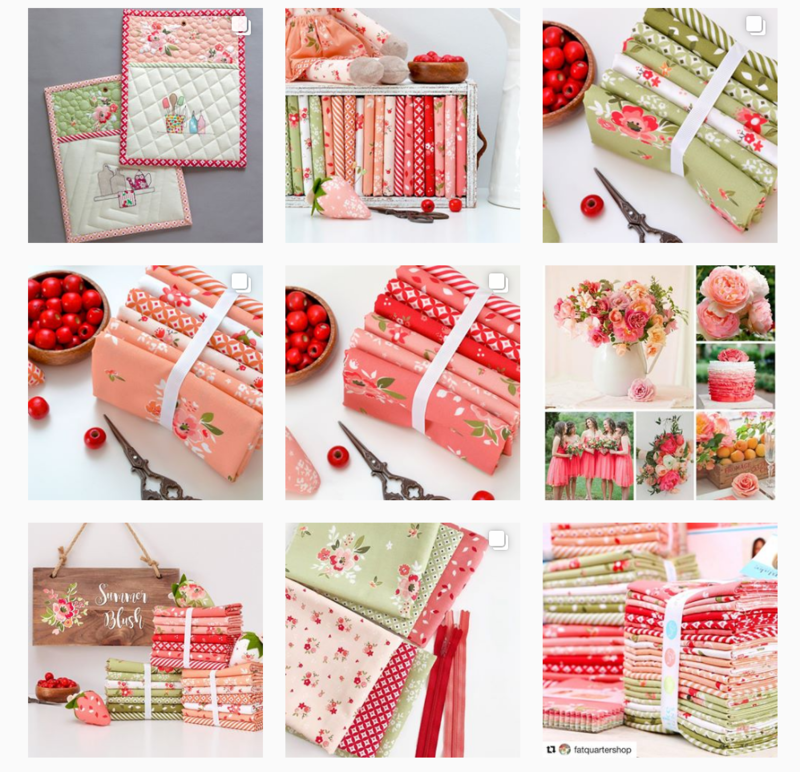 Meet This Maker – Sedef Imer + GIVEAWAY! Today, we are excited to introduce you to Sedef Imer of Down Grapevine Lane! 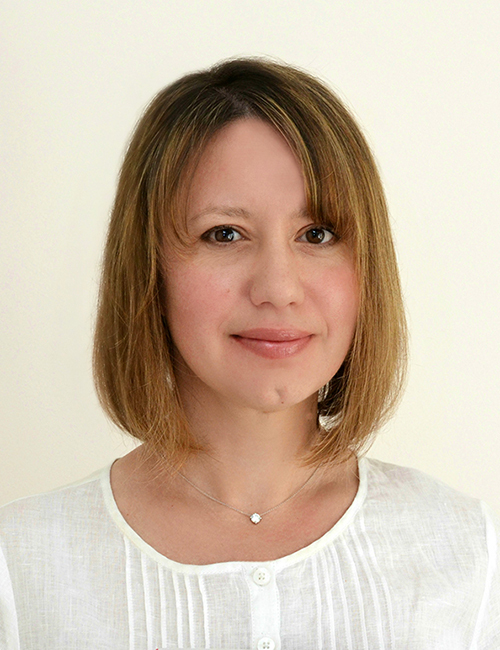 Sedef is a former chartered accountant from London who now lives in a picturesque wine town in Australia and blogs about sewing, embroidery and crochet at her website, Down Grapevine Lane. Before embarking on her craft journey, Sedef worked in finance all her professional life, including roles as a management consultant and subsequently a director at a global investment bank’s London headquarters. 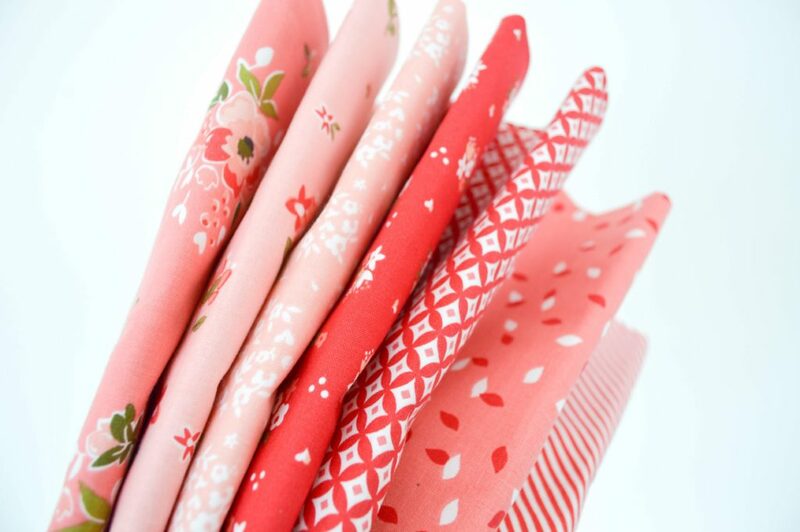 Sedef’s newest fabric line, Summer Blush, is a breathtaking collection of romantic, warm florals, stripes and geometrics. 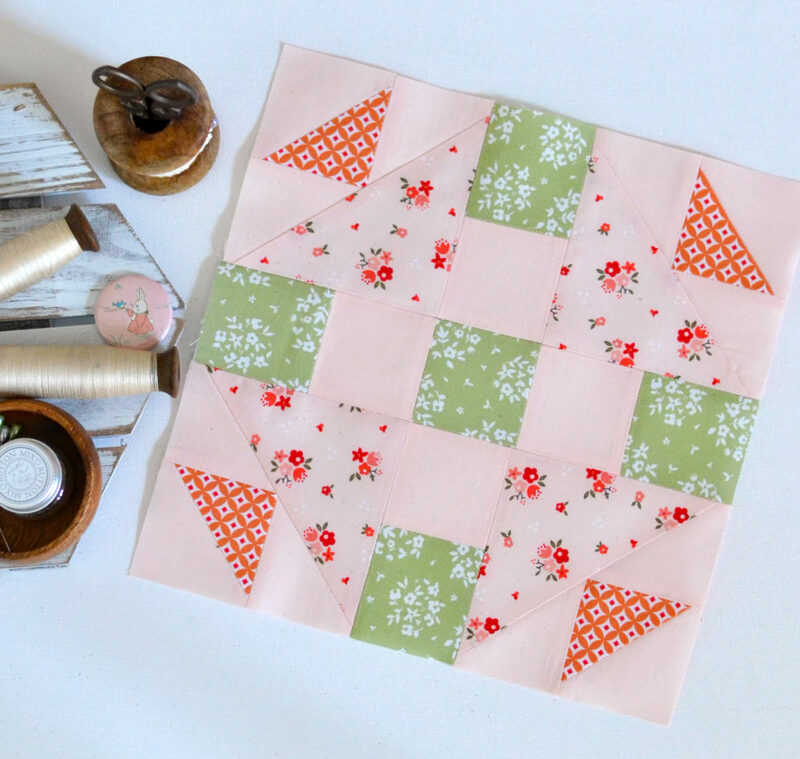 Sedef created her Meet the Makers Block #2 using her Summer Blush fabric paired with Riley Blake Confetti Cotton. Beautiful! Take a look at Sedef’s Instagram @downgrapevinelane, and be sure to follow her for tons of beautiful photos, ideas and inspiration! In order to get to know Sedef a little better, we gave her a list of words in alphabetical order to which she could give any reply that came to mind. Enjoy this fun and refreshing look at life from Sedef’s unique lens! Autumn: Autumn is so beautiful but also makes me sad – as I know that beauty is fleeting and winter is just around the corner. Blue: I really need to use blue more in my sewing. Can’t: There is no such thing as can’t. Dogs: We are thinking of getting farm dogs to protect our chickens from predators! Extra: Going the extra mile is my work motto – I am a perfectionist and fret about the tiniest details. Family: There is nowhere I’m happier than when I’m at home, with my family. Great: It would be so great to be able to take a few months off and go travelling! Hero: Be your own hero! If: Anything is possible if you work hard enough. Jokes: My husband excels at dad jokes – he’s a bit of a clown. Key: I’m always losing my keys so I had to get a locator thing for them! Lake: There is a beautiful vivid blue lake near where I live – it’s a favourite picnic spot. Morning: I hate mornings – I’m so not a morning person. Next: I wonder what will come next in my sewing journey! Open: My kids give the best hugs – I love it when I see them running towards me with arms wide open. Possibility: Never did I in a million years think becoming a fabric designer was a possibility for me – it just happened! 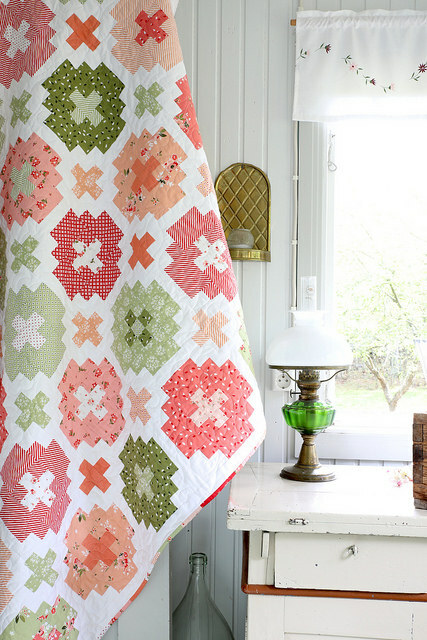 Quilts: I have a few favourite quilts that I use but most of them are just sitting in the cupboard waiting for their turn. Rollercoaster: I used to love rollercoasters but these days I have to be forced onto one – must be getting old. Sewing: Sewing is my happy time. Ticket: I’ve never bought a lottery ticket in my life. Ugh: Ugh. I need a coffee. Vacation: Our next family vacation will be to Japan – can’t wait! Window: The view from our living room window is miles and miles of grapevines – love living in the country. X-ray: I just needed to get new x-rays done at the dentist. Yarn: I really need to do a yarn destash – there’s no way I will use all the yarn I own in this lifetime. Zoo: It’s a long weekend here and my house is looking like a zoo already – thanks kids! Thank you Sedef for sharing your fun answers with us! 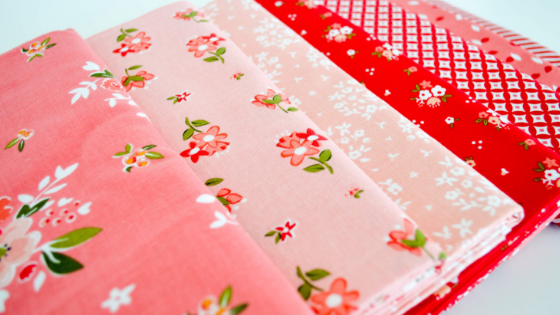 Sedef’s Summer Blush fabric collection is available now at your favorite local and online quilt shops so be sure to pick up yours today…..
….Or hop on over to our Riley Blake Designs Instagram feed to find out how you can win a FREE 1 Yard Bundle of Summer Blush!